Forgive me food gods, wherever you are, for I have sinned. 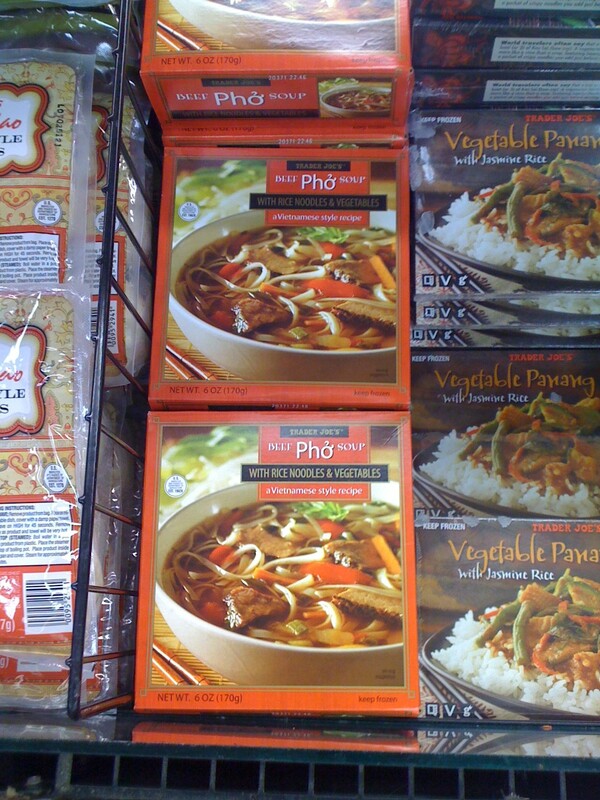 Yes, generations of cooks trained in the classical traditions of Vietnamese cuisine are now spinning in their graves. What did I do that is so bad you ask? I am embarrassed to even come clean about this, but let me add the caveat this meal was consumed under the guise of research. 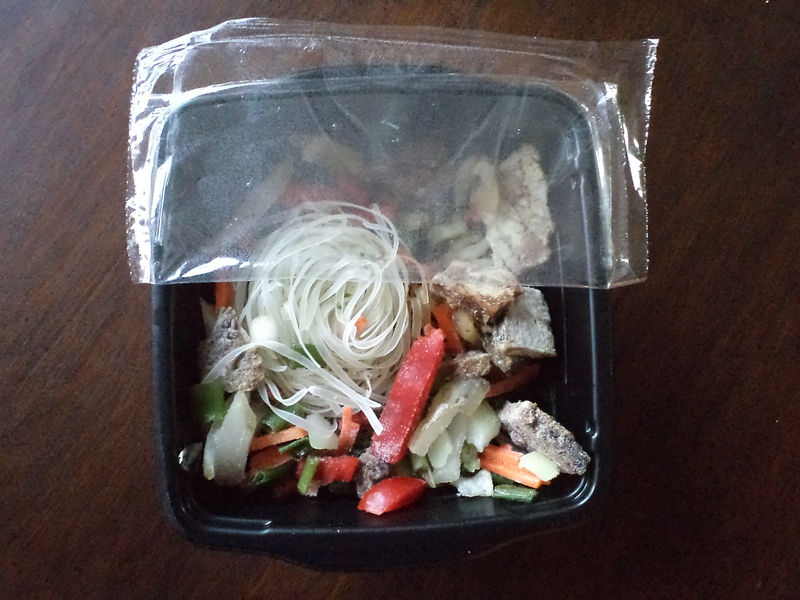 I ate a microwave phở straight out of the freezer section of Trader Joes, a grocery chain in America. On this journey I have gone from barely picking at something as simple as pork and rice to gladly chowing down on a fertile hard boiled duck egg. Yet now this simple $2.99 bowl of “A Vietnamese Style Recipe” as its labeled has derailed my culinary evolution and set progress back a couple of months. Why did I eat this? Why? The old saying is true…curiosity killed the cat. I promise I shall immediately repent upon my arrival back in Saigon this weekend by lighting incense and burning fake paper money in front of a proper phở parlor. I just feel so dirty having eaten this that I may just need to say 50 Hail Marys while eating 50 bowls of the straight up legit stuff to reclaim some of my street cred. What are those ropes called that people beat their backs with while praying for forgiveness? What I consumed would be like us sticking one of our American treasures in a Vietnamese grocery store’s freezer. Let’s say something like a McDonald’s Big Mac. That’s got to be as close to a national dish we come. Yes, let’s go with the Big Mac. So imagine culling two all beef patties, special sauce and sesame seed buns out of a freezer, scraping off the ice crystals, and then nuking it into a plastic tasting mess. We’d soon discover food laboratory flavors not even close to the heart clogging grease served under the Golden Arches and a smattering of filler ingredients that never dreamed about passing through Ronald McDonald. It’s my own fault really. I knew going in this experiment would crash and burn with less than happy an ending, but in the name of research we sometimes compromise our values. I added tap water to the fill line, watched it spin 4 minutes inside the radiation box and then ate about four spoons of it. A chef in Vietnam boils bones for hours to impart a delicate richness into the broth. Mine was made in a factory and tasted like cheap soy sauce mixed with sugar water. At least the box had a seal indicating this bowl of faux phở passed the US Department of Agriculture Inspection. That’s probably more than my favorite phở joints in Saigon can claim.